Nature's Enhancement, Inc. was founded over 20 years ago in Montana's Bitterroot Valley, surrounded by majestic mountain scenery. Our experienced staff of nursery and landscape professionals is pleased to offer native and hardy plant selections and custom installations to the Rocky Mountain region. Our 40 acre nursery, headquartered in Stevensville, Montana, produces hundreds of thousands of quality plants each year. Our products range from wildflowers and grasses to large colorful shrubs, rich evergreens, and instant shade producing trees. Available sizes range from one-gallon containers to over 35 feet tall. Plants can also be custom grown to meet the specific needs of your nursery and installation projects. Nature's Enhancement, Inc. is also pleased to offer complete landscape services - design, consultation, delivery, irrigation, and installation. Our talented crews pride themselves on creating custom looks for each site regardless of project size. We have extensive experience in all types of hardscapes and outdoor living spaces, such as intertwining walkways, rock walls, fire pits, ponds and water features, decks, patios and lighting. For examples of our work, see the photo galleries under our Landscaping section. We propagate native plants suited for landscaping in the Rocky Mountain West i.e. hot summers, cold nights, high elevations and little precipitation. Plants are grown out-of-doors so they are very hardy as well as beautiful! Red's has been owned and operated by Janet Bierer, since 2001. RED's Studio is located at 104 South 2nd Street in Hamilton. We are located in the downtown area of Hamilton in the beautiful Bitterroot Valley. You will find us just a few doors from main streets' Hamilton Pharmacy, next to the Kitchen Restaurant, and across from the Filling Station Grill. Look for the large "crown" design on our window. Walk-ins are welcome, but appointments are prefered. To schedule your appointment, call 406-363-1415 Hours of operation: We have no "set" hours, but instead work varying early and late days to accommodate our customers. We use the REDKEN 5th Avenue NYC Colors, and offer Biolage Styling Products. All acrylic nail services are performed with CND (Creative Nail Design) products. In Missoula since 1896 and still passionate about plants, design-really all things gardening. Inspiring facility and presentation. Superior selection of plants from groundcovers to trees including extensive greenhouses. Experienced and talented designers accompany every landscape or irrigation project. For some homeowners, buying garden and landscape supplies involves an afternoon visit to a Bonner, MT nursery for some healthy new annuals and perhaps a few new planters. Others dream of a Japanese garden complete with flowing waterfalls, a koi pond and a graceful footbridge surrounded by luscious greenery. If you’ve been dreaming of a beautifully landscaped property with a water feature or a concrete fire bowl but don’t know where to start or what landscape supplies to buy, it may be time to look into garden and landscape suppliers in your Montana area. From retaining walls to raised garden beds, these professional vendors can make your backyard the oasis you’ve been longing for. What’s more, many of these professionals can help you take your ideas from design to installation and provide garden care and yard maintenance according to your Bonner, MT climate. Here are some related professionals and vendors to complement the work of garden & landscape supplies: Landscape Contractors, General Contractors, Landscape Architects & Landscape Designers. What if you would love to grow your own vegetables but have site limitations? Many garden supply companies offer planters and containers that are up to 42 inches tall. For those who live in colder climates, consider a greenhouse — just the thing to enjoy starting plants or growing exotic blossoms that wouldn’t quite work in your Bonner, MT climate. Find garden and landscape supplies on Houzz. Search the Houzz Professionals section for Bonner, MT garden and landscape supplies. Browse photos and read reviews. 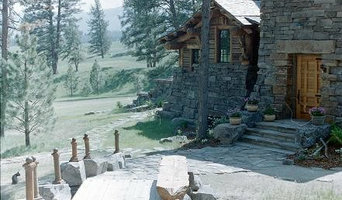 You can also explore full-service Montana landscape architects and garden contractors.